A lip treatment care balm which was enriched with Ovine (Sheep) Placenta, Collagen Hydrolisate (Marine) and Hyaluronic Acid (Plant), Evening Primrose Oil and Vitamin E to give an extra volume by redefining lips to create a clearer and fuller lip and to provides that extra moisture. 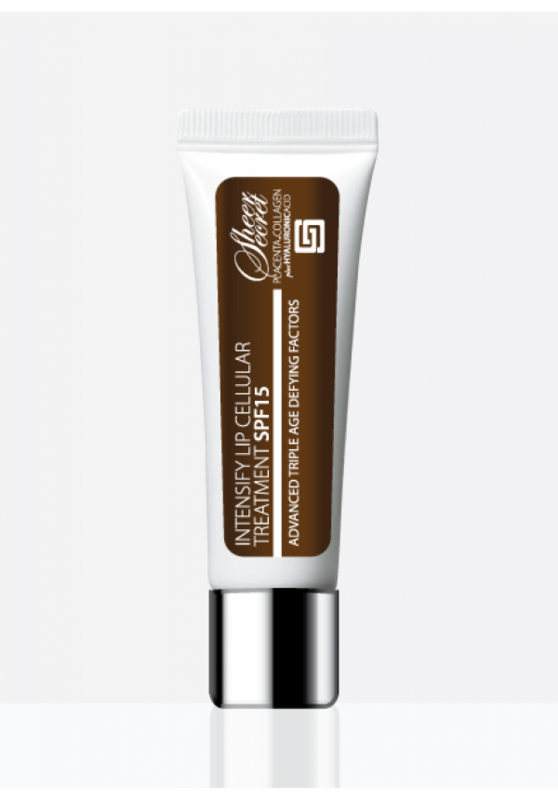 Actively helps to repair damaged cell, minimise fine lines and prevent lip from further discoloration. With SPF15 to protect against UV rays and prevent chapped or cracked lip. Instantly, reduces lipstick bleeding and feathering for a smoother look for lipstick wears. Suitable for winter and summer weather. Gently squeeze out balm directly from tube while at the same time evenly applying on lips before applying lipsticks. Repeat application after each meals or when necessary. Sweet Almond (Prunus Amygdalus Dulcis) Oil, Bees (Cera alba) Wax, Octyl Methoxycinnamate, Benzophenon 3, Butyl Methoxydibenzoylmethane , Essential Oil Bergamot, Tocopheryl Acetate, Evening Primrose (Oenothera Biennis) Oil , Placental Protein (Ovine), Collagen Hydrolysate (Marine), Hyaluronic Acid (Plant).